■ The benefits of laparoscopic surgery are well recognized, but few have been subjected to rigorous scientific analysis. ■ The theoretical benefits to patients of decreased insensible losses and subsequent early postoperative fluid shifts and fewer instances of ileus as a consequence of less direct bowel manipulation with the laparoscopic approach await scientific substantiation. ■ Small clinical series have shown comparable functional and oncologic outcomes for radical cystectomy and urinary diversion between the open and laparoscopic approaches. We eagerly await the results of larger series with long-term follow-up. 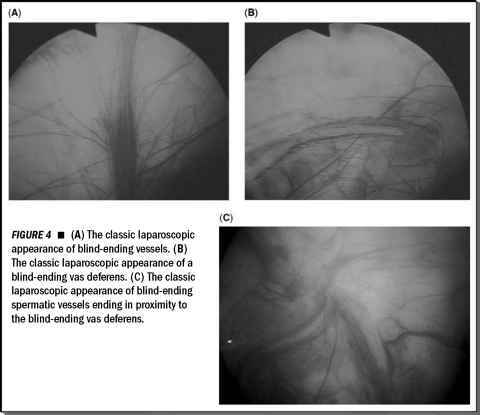 ■ Feasibility of these complex laparoscopic procedures has already been established. Technical refinements are ongoing in order to decrease operative time and increase efficiency. ■ The debate between pure laparoscopic and open-assisted procedures to perform urinary diversion continues.